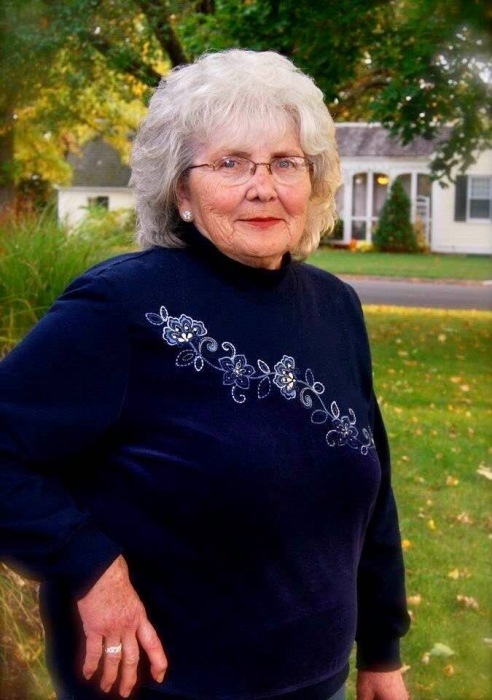 Raylene Sue Camp, age 77, was surrounded by her loving family when she passed away peacefully on Friday, July 6, 2018 at Clinton Memorial Hospital. She was born to Rama and Elaine DeBoard on October 21,1940, in Wilmington. On August 2, 1964 she walked down the aisle to her true love of 53 years, Ronald Camp. Together they built a family. Raylene was a true role model. She always instilled the importance of hard work in others. She worked various occupations at G. C. Murphy’s, the U.S. Shoe Factory, and Bob & Carl’s. However, her favorite job came later in life when she was able to provide many hours of love and joy while babysitting for her grandchildren. If anyone she loved was participating in a sporting event, you could always count on her to be in the stands cheering while enjoying a popcorn and a coke with extra ice. She became an honorary mom and grandma to many teammates both on and off the field. If there was any big event such as a birth, graduation, wedding, or death, you could rely on her to be there providing unconditional love and support. She was known for the many words of wisdom she imparted on others, usually sipping on a nice cup of coffee while sitting at her dining room table. Many conversations held there are priceless memories and valuable life lessons. She is survived by her husband Ronald Camp; three sons, Gary (Sandy) McCoy, Brian (Diana) Camp, and Raymond (Cindy) Camp, all of Wilmington; son-in-law Michael Wertz, of Wilmington; grandchildren, Amy McCoy, Kim McCoy, Jami (Floyd) Meredith, Ronald McCoy, Kelli (Brad) McCray, Brady Camp, Jensen Camp, Brianna Camp, and Garrett Fitch; great grandchildren, Peyton and Perry Meredith, Olivia, Jullian, and Andrew McCray, and Zayde Camp; as well as many loving nephews, nieces, and cousins. She was preceded in death by her parents Rama and Elaine DeBoard, brother Charles DeBoard, sister Shirley Jean Roberts, as well as her daughter and best friend Vicky Wertz. Graveside funeral services will be held 10:00 a.m. Tuesday, July 10, 2018 in the Sugar Grove Cemetery. Brown Funeral Home, Wilmington, is serving the family. For more information, or to sign our on-line register, please visit www.arehart-brown.com or see our Facebook page, Brown Funeral Home.